Here you can find a wealth of paper quilling inspiration, tips, tricks, resources, and tutorials! Browse below for the latest posts, search the menu at the top for specific subjects, or choose a category from the drop down menu in the right sidebar to explore the site. 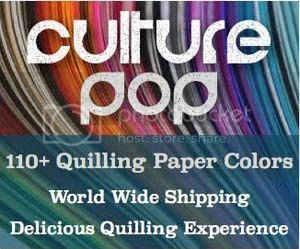 Have a question about paper quilling? Contact me and I’ll be happy to help out! Learn how to make fun and easy paper quilled name magnets! An adorable paper quilled dachshund for a frame, magnet, card, etc. My collection of paper quilling hair clips and tips on how to make your own. 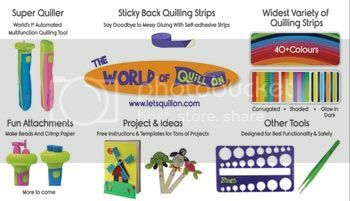 A review of a kit from Let’s Quill On that includes an electric quilling tool, sticky back paper, and more! Here are some of my earrings for sale! Win a $10 gift certificate to spend at Custom Quilling Supplies! A new website, a hub for all paper quilling tutorials! Quilling for kids – Svara made some fun ice cream cone earrings! A simple yet elegant card made with quilled scroll hearts. Some tips and answers to some questions I get about starting a Facebook page for paper quilling or other crafts. Here is a collection of the cluster earrings that I have designed and made over the years! A wedding invitation that I turned into a paper quilling decorated frame as a wedding gift for the lovely couple! This paper quilling peacock design was a wedding gift for a friend.